Everyone talks about work-life balance, but will Millennials be the ones to really make it happen? A new EY study finds that Millennials – particularly Millennial parents – are so serious about finding work-life balance, they’re willing to relocate if it means finding a job that offers it. Millennials are an influential generation, perhaps as influential in their time as the Baby Boomers were in theirs. And just as the Baby Boomers changed the face of the workplace a generation ago, Millennials may do the same in the coming years. But what does this mean for your small business? First, here’s a closer look at what EY found. Millennials want work-life balance, especially Millennial parents, and say finding work-life balance has gotten harder in the last five years. About half say this is due to increasing work responsibilities – ages 25 to 29 are when most U.S. employees move into management roles, so Millennials are taking on more duties at work. However, ages 25 to 29 are also the age when most Americans become parents, so Millennials are facing a double-whammy. In fact, some 44 percent of Millennials in the survey say work-life balance has gotten harder to achieve in the last five years due to more responsibilities at home. Not making things any easier, 78 percent of Millennials have a spouse or partner who also works full time, compared to 73 percent of Gen X and just 47 percent of Baby Boomers. Ever since the one-wage-earner family of the 1950s became increasingly a thing of the past, each generation has gotten sandwiched between the demands of work and family. But Millennials are making a stink about it, and that means they’re more likely than other generations to get results. Here’s how much Millennials want work-life balance: More than one-third (38 percent) are willing to move to another country if it means they will get better parental leave benefits. Of course, you could say this is simply because they’re younger and more flexible — but even Millennial parents are willing to make these changes. And surprisingly, Millennial men are more likely than women to say they would do all of these things to attain work-life balance. It seems the vision of the Millennial as the perfect employee who’s willing to work 7 days a week because he or she has no family ties is shifting as the Millennials settle down and start families (or think about doing so). So, how can you attract these employees and retain them at your business? First, the study has some good news: Millennial employees are pretty easily satisfied. The survey reports that flexible work hours and the option to telecommute one or two days a week would be enough to keep most of them happy. However, the key is to really walk the walk, not just talk the talk, when it comes to flexibility. One-sixth of Millennials say they’ve experienced a stigma when they’ve actually taken advantage of family-friendly policies. For example, they may be passed over for a promotion or not get an expected raise. Three-fourths (74 percent) say they want to be able to work flexibly, but still be on track for promotions and feel that their boss and managers support them. Consider your compensation and benefits holistically to ensure they support employees’ work and life needs. Actively work to prevent stigmas that may be associated with parental leave and flexibility. For each activity, ask yourself if it’s a preference, tradition or requirement. For example, is being physically present at a weekly meeting a real requirement, or simply “the way we’ve always done it”? If the latter, perhaps a virtual meeting could get the same results. It’s up to us to help Millennial employees get what they need from work and life — or risk losing them to competitors who do. The Greek financial crisis will not have severe consequences for the Bulgarian financial sector and business, as stated by the Bulgarian Foreign Minister Daniel Mitov Tuesday in an interview for the Bulgarian National Television. In his words, Bulgaria is well prepared in case of a crisis. Business have redirected, big Greek investments have been rebranded while the Bulgarian government has undertaken a number of measures in order to ensure the financial stability of the banking sector. The Bulgarian National Bank has stated that the Greek-owned Alpha Bank that also has operational facilities in Bulgaria is functioning normally, Dnevnik daily reported. Two other banks in Bulgaria have Greek headquarters – the United Bulgarian Bank and Piraeos Bank. Postal Bank is a part of the Eurobank Group, however, 64.6% of its stocks are owned by US and Canadian investment funds. All four of them have been obliged by BNB to reduce to a minimum their exposure to Greek assets. ‘’We want to see the Eurozone whole and stable, it is important for Greece to remain a part of it and to overcome the tough period of debt crisis,’’ Mitov added. Asked whether Bulgaria is well prepared in case of a possible Grexit, Mitov replied that this scenario is well planned, but the bigger hit will be felt in Greece. He added that he does not believe that the referendum will bring clarity on the road that Greece will be willing to take. Earlier this year, Small Business Trends published a report on the 25 best ways for small business travelers to save money on the road. Then recently, SurePayroll offered an invitation to provide a few questions to the company’s monthly SurePayroll Small Business Scorecard. The questions were posed to small business owners and managers about their practices and policies for business travel. Based on the responses Small Business Trends and SurePayroll received, planning ahead before the trip seems to be a surefire way of saving money and being prepared for the unexpected. Of course, there will always be business travel horror stories that make a disaster out of even the best laid plans. Obviously, planning ahead is the best way to save money on your small business trip. This can prevent a lot of headaches and expense if something unforeseen should occur. Before you pack those bags, peruse the Web to look for better deals on everything vital to the trip. In today’s business world, sharing is caring. And there are plenty of services to share, especially for travelers. Rides and rooms are two major expenses that can be offset by the use of apps and services like AirBnB and the ride share companies like Uber or Lyft (if they operate where you’re going). You may feel panicked or rushed while you’re in a new place with unfamiliar surroundings. The best practice is to not get stressed. Losing your cool could result in losing your shirt (hopefully not literally). 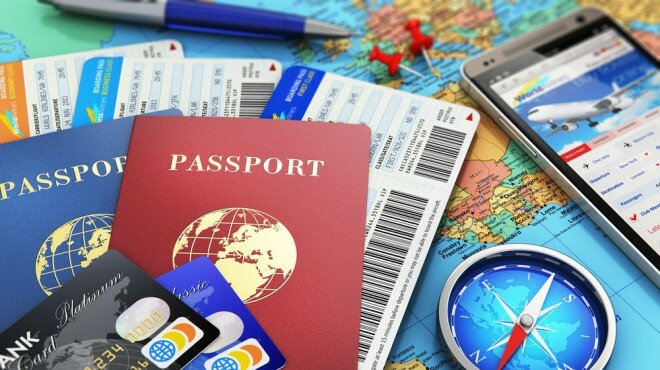 Despite the possibility of Frequent Flyer miles accruing and the like, it may not always be best to just throw all expenses onto a single card or to limit yourself to a single airline. At least two small businesses said they look around – in the face of Frequent Flyer miles – for the absolute best deal. Of course, not all savings can be had in the air. There are some on the ground, too. Small Business Trends reached out to one of the respondents to SurePayroll and found some other ways to save on the ground, namely with parking. ParkWhiz is a mobile (and desktop) app that allows travelers to scope out different parking lots and garages at a particular location. Travelers can even pay for their parking before the trip. That way they’re guaranteed a space. Saving money on your next business trip can actually start while you’re on the previous trip. A lot of the spending you do now can lead to savings later. That was the advice given by a lot of small business travelers who responded to SurePayroll. There’s one tip that was shared by a lot of the people responding to the SurePayroll and Small Business Trends query. And guaranteed, it will save you money from your business travel budget. 25. Just don’t travel on business. So if you have to leave the comforts of your home office, remember what these travelers have shared and don’t forget to look at the previous tips shared on small business travel. Greece will table a new proposal about its debt on Wednesday, German daily FAZ quotes Eurogroup Jeroen Dijsselbloem as saying. According to FAZ, Dijsselbloem said the Eurozone financem minister would discuss the proposal the very same day. This came as the Eurogroup held a teleconference on Tuesday evening, with a move by Athens to request a second bailout package, this time only from the Eurozone’s European Stability Mechanism (ESM), being the single item on the agenda. Greece has until 01:00 local time on Wednesday (22:00 GMT, Tuesday) to pay a debt installment to the IMF or default. The Eurogroup rejected on Tuesday the request of the Greek government to extend the bailout programme of the country. This became clear after the end of the extraordinary teleconference of the eurozone finance ministers. The conference call was necessitated after the Greek government submitted its latest list of proposals earlier on Tuesday. These developments come just hours before Greece is expected to default on its IMF debt repayment of EUR 1.6 B, which falls due later on Tuesday. It is likely for a new meeting of eurozone finance ministers to be convened again on Wednesday to discuss the other proposals of Greek Prime Minister Alexis Tsipras. In its latest proposal, Greece asked for an extension of its bailout and a new two-year EUR 29.1 B aid deal under the European Stability Mechanism (ESM) with a parallel debt restructuring. However the Greek government made no concessions to the demands of international creditors for economic reforms. Greece requested for its bailout programme to be extended for a short period of time in order to avert a technical default on its IMF debt repayment. Finnish Finance Minister Alexander Stubb announced that an extension of the bailout programme was not possible, while the request for new ESM programme had to be dealt through the normal procedures. The latest EU-facilitated dialogue between Serbia and Kosovo failed to reach agreement between the two sides. This was announced by EU High Representative for Foreign Affairs and Security Policy Federica Mogherini on Tuesday. As had been agreed last week, Mogherini reconvened a meeting of the high-level dialogue for normalisation of relations between Belgrade and Pristina on Monday. After sixteen hours of talks between Serbian Prime Minister Aleksandar Vucic and his Kosovo counterpart Isa Mustafa, the two sides failed to reach final political agreement. Vucic and Mustafa discussed the text of two agreements – on principles of the establishment of the Association/Community of Serb majority municipalities in Kosovo and on the implementation arrangements in the field of telecoms. Mogherini informed that the parties will now reflect on future steps, the European External Action Service (EEAS) informs. HOW much does it cost to fund a traditional final salary pension? A lot. OECD tables show that 65 year-old men can expect to live for 19 to 21 years after retirement, while women may manage 22 to 28 years. The traditional UK schemes paid a sixtieth of salary for every year of employment, up to a maximum of 40 years, or two-thirds of final salary. US schemes were the same, with the important exception that full inflation-linking was rarely guaranteed. You are currently browsing the Business, finances, forex blog archives for June, 2015.